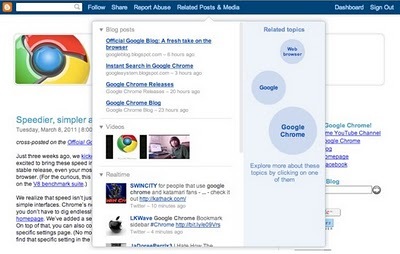 Blogger Buster: Blogger's Forthcoming Features - New Dashboard, Post Editor, Content Discovery and more! 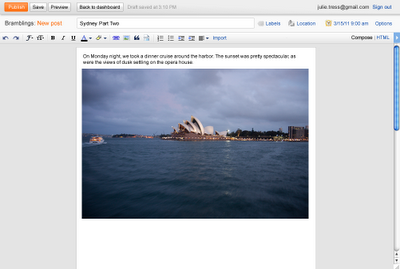 Blogger's Forthcoming Features - New Dashboard, Post Editor, Content Discovery and more! 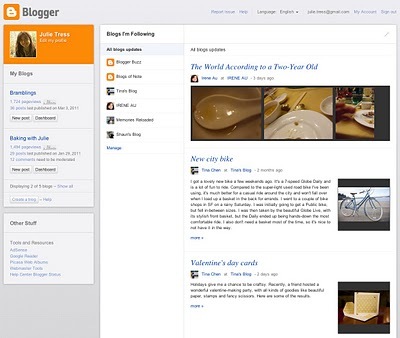 While 2010 was an exciting year for Blogger with the addition of the new Template Designer, Real-time stats and web fonts (to name a few of the features released), 2011 looks to be even more exciting. At SXSW the Blogger team demonstrated two fabulous forthcoming features: an updated post editor and "content discovery". I can't begin to describe how much I'm looking forward to these new features! 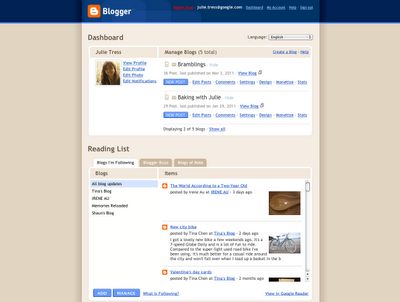 Blogger's upcoming dashboard revamp promises to be faster, more intuitive and incredibly user-friendly. After seeing the preview shots and video, I'm sure we're all curious about potential new features in the toolbar for creating and editing blog posts! Yet more updates and new features will be released in 2011 (and beyond!) though as yet the Blogger Team remain tight lipped as to what these will be. Mobile templates look set for improvement (as hinted in the video below) and perhaps we'll see more highly requested updates and improvements too. Of course I'll let Blogger Buster readers know about these forthcoming updates as soon as I'm able so be sure to subscribe to stay up to date on what's new with Blogger!